Just installed the OTA (over the air) update on my N900 and the difference in speed is actually user-perceptible. Animations are smoother, rotation happens much more quickly and I could swear applications are starting faster as well. Many people are reporting improved battery life too. There are no new major features that I’ve noticed, so of PR1.2 was a feature release, PR1.3 is very much a fine-tuning release. And despite what the few whiners on the maemo forums might say – that is not a bad thing! More at the Nokia conversations blog and pocketables.net. This entry was posted in General and tagged n900, pr1.3 on October 28, 2010 by Alex. I know it’s really sad to eagerly await a firmware update, but since this one fixes a lot of bugs, improves stability and adds Skype video calling, I think any eagerness is warranted. The update was released over-the-air in the UK today and the worldwide release will follow tomorrow. But rather than wait I elected to do a clean flash. First impressions? I’ve hardly had a chance to play with it, but it looks good so far. I don’t think it’ll be enough to stop me wishing I’d bought a Nexus One though. This entry was posted in General and tagged n900, pr1.2 on May 25, 2010 by Alex. 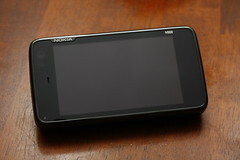 My last post on this blog was a review of the Nokia N900, and that was a whole quarter ago. The last 3 months have been hectic to say the least but I now have a lot more free time! So how has the N900 turned out? My conclusion still stands – the N900 is not a suitable phone for most people, and it probably isn’t the best phone for me either. For developers of applications for Nokia’s QT platform it’s the reference device and thus an essential piece of kit. But the general public are better served by the existing Symbian range. So what’s good and what’s bad? This entry was posted in IT, Linux, Reviews and tagged n900 on May 2, 2010 by Alex. Currently updating the firmware to the latest version, I’ll be writing a review once I’ve had a good play and am familiar with the device. This entry was posted in General and tagged n900 on February 2, 2010 by Alex. This entry was posted in General and tagged n900 on January 19, 2010 by Alex. So. They’re not out yet but I want one, and it doesn’t look like it’s going to be easy to get hold of one. I enquired with a friend who’s a computer dealer this week. He has an account with a major wholesalers that distributes Nokia devices, so I figured it would be a good place to start. The reply I got back was rather interesting. By some wondrous decision, without consultation, we are now NOT allowed to sell any product from the importer that has Cell capabilities. We have approached the commerce commission but they are swamped with bigger matters! Long live New Zealand’s free trade… It appears that the big brothers still run the country. I am pleased to hear of your keen interest in the Nokia N900. At this stage, there are no updates when this phone will be launched and release in Asia Pacific, which is including New Zealand. Hence, I do apologise as I am unable to confirm if the Nokia N900 will be available for sale in New Zealand once it is launched in Asia Pacific. Kindly be advised that all new product launches are carrier and market dependent in all countries due to the tests carried out to ensure compatibility with network and government regulations. Hence, the launch dates are still not available as it is still in tests and awaiting approval from the respective network providers and government. We thank you for your interest in Nokia products and hope for your continued support. Hope the above helps to clarify your query. Do you know you can now update your phone software at your own convenience? Visit www.nokia.com.au/support to check if your phone model is supported and download the “Nokia Software Updater”. Well I’m 100% sure that no government regulations are going to get in the way of a generic HSDPA device, so in other words, they need to wait for Vodafone to test whether an HSDPA 900/2100 device will work on an HSDPA 900/2100 network. Can’t the consumer take some responsibility here? What if we want a phone that’s not locked to a particular carrier’s network? Paying $1000+ for a phone that only works on Vodafone’s network? I don’t think so. What if we want to buy a phone at market value rather than the exorbitant markup Telecom and Vodafone put on their phones? Vodafone charges $1800 for the N97 which is close to 100% markup and totally absurd. I’m sure the high markup is done to make the contracts which include the phone more attractive, but it completely shafts anyone that doesn’t want to be locked in. This market needs to change. Networks are built on standards, and so long as the device is compliant with those standards there should be no need for the carrier to “approve” them and control the market. Cellular devices are not just phones anymore, they’re computers, and the market isn’t reflecting that. I think the wholesaler’s decision not to sell cellular devices to computer retailers is strongly influenced by another party – and it’s fairly obvious who this benefits (hint: not the wholesaler, consumer or computer retailer, and I’d be dubious about whether this benefits Nokia in any way). It looks like I will have to get one from a parallel importer. But I’m not particularly happy about it. This entry was posted in General and tagged n900 on September 27, 2009 by Alex. 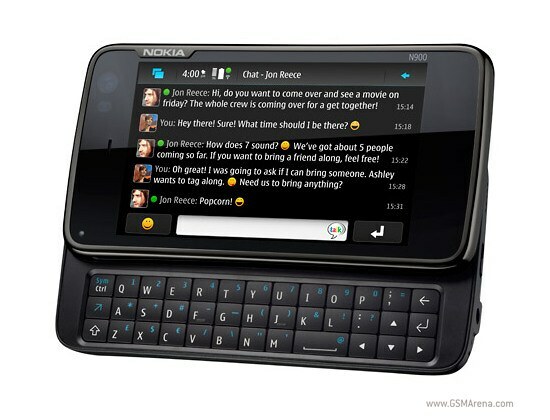 Apparently Nokia believes the mobile network carriers won’t be interested in selling the N900 because it won’t let them mess with the operating system. Strangely enough, this is one of the reasons why I will be buying one. Also interesting to see that Nokia doesn’t consider the N900 to be the “next generation” of computers. That honour is reserved for their fifth generation tablet – the model after the N900. This entry was posted in General and tagged n900 on September 6, 2009 by Alex.